For those of you not familiar with the significant changes to this park I think the following images sum this up well! This was taken in 2007. 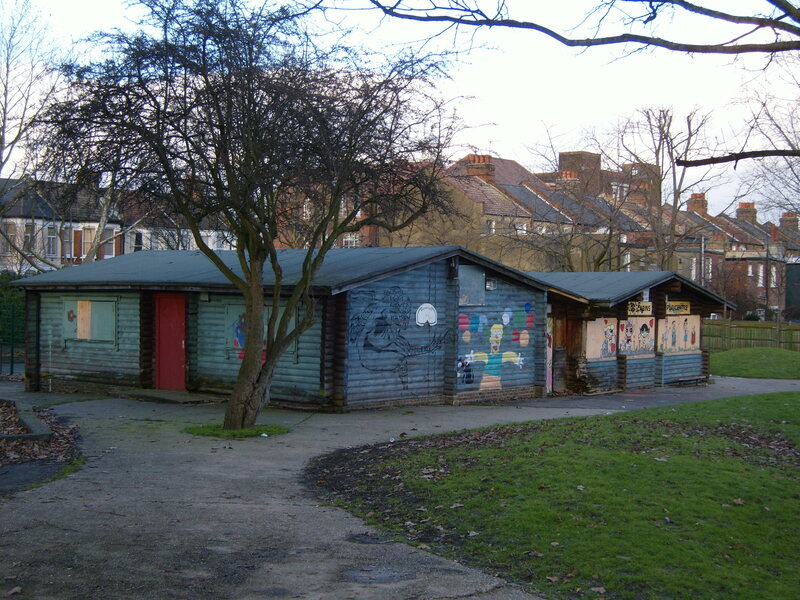 The building was known as the Log Cabins and was used by Hornsey Ridge Playgroup and Hornsey Ridge After School Club. When the building was condemned a consultation was held by the council to find out what should be done with the building. Eventually it was decided to demolish it. As part of the above consultation a Working Group was set up by the council, consisting of various stakeholders within the community. 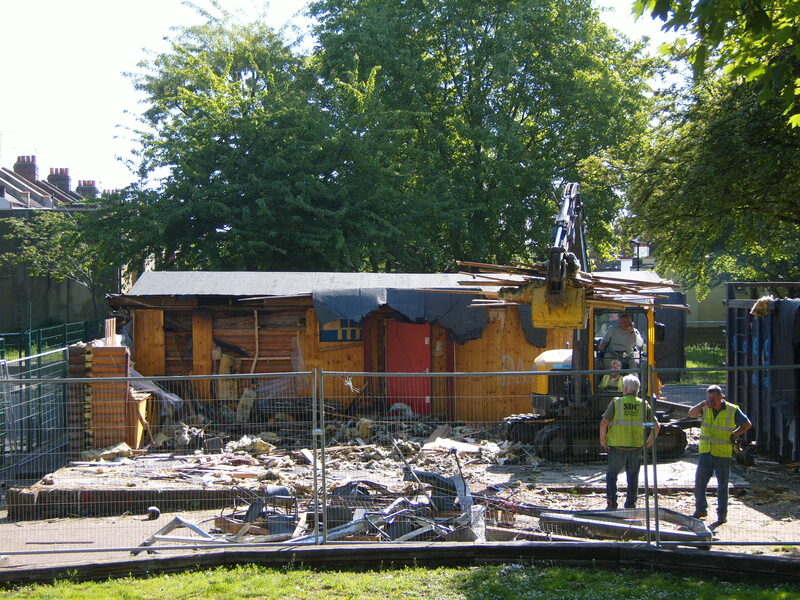 When the decision to demolish the Log Cabins had been made the Friends Group asked that the Working Group not be disbanded and instead focus on re-developing the open space, as it was then known. Groundwork were brought in to visualize the ideas and further consult with the local community. Plans were then drawn up and funding sort. Eventually £270,000 was raised from various sources including Veolia EnvironmentalServices, Community Spaces Big Lottery, London Marathon Trust and the council. During this time the council designated the open space as a ‘park’ and also local school children were asked for their ideas for a new name. They came up with Fairland Park! In February 2010 re-development work finally began. The park opened to the public in June and was officially opened by local children and the council July 18th 2010. The results speak for themselves. We now have a wonderful little green space for our community here in Harringay. Fairland Park, as it is known today, used to be terraced housing. In World War II this area was hit by a V1 bomb, destroying 30 homes. After the war a number of prefabricated homes were installed. They had their own gardens and section of land. 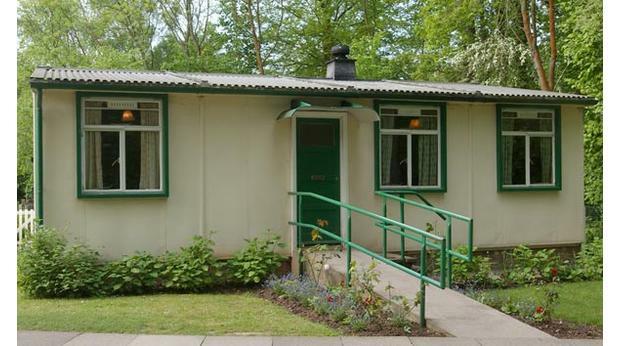 By the late 1970s the council had re-housed people living in the prefabs. Jeremy Corbyn, then a local councillor, was part of a campaign to turn this area into a park. A consultation with local people was held at what is today North Harringay Primary. A new park was born in the 1982/83. The park was well known by local parents & children for the ‘Log Cabins’. An after school club and playgroup ran here for many years. The building was pulled down in May 2007 because it was unsafe.